General Electric is seriously strapped for cash. The conglomerate has laid off workers, slashed its dividend and put long-held businesses up for sale. If only former CEO Jeff Immelt hadn't gone on a $24 billion spending spree in 2016 and 2017 to buy back GE's (GE) stock — at what turned out to be extremely high prices. The misguided buyback strategy underlines GE's failure to allocate its limited resources. It squeezed GE's cash haul and increased its debt. "The root problem at GE — and why the stock is where it is — is poor capital allocation," said RBC Capital Markets analyst Deane Dray. Shareholders normally love buybacks because they make shares scarcer and inflate a key measure of corporate profitability. But in GE's case, the buyback binge was another unfortunate example of buying high. Using a combination of debt and cash, GE spent $2.6 billion last year on stock buybacks — at an average price of $19.65. Today, the stock is worth just $13.35, close to a nine-year low. GE's buybacks were much worse in 2016. It spent $21.4 billion at an average price of $30.30, more than double the current price. "That's cash out the door. What did they get for it? Look where the stock is today," said Dray. A spokesperson for Immelt told CNNMoney that decisions were "always made with the long-term interests of the company in mind." "These complex and difficult decisions were based on numerous factors and were made during a highly volatile economic environment. By contrast, hindsight is easy," Immelt's spokesperson said. Instead of buybacks, Dray said GE could have used the cash to pay down debt, which has stayed high as profits have crumbled. That has raised concerns that GE is too leveraged, which will force the company to cut costs. "There is anxiety about leverage," Dray said. Last year, GE announced plans to lay off 12,000 workers in its beleaguered power division. GE also cut its dividend in half, just the second time since the Great Depression that the company touched that investor perk. 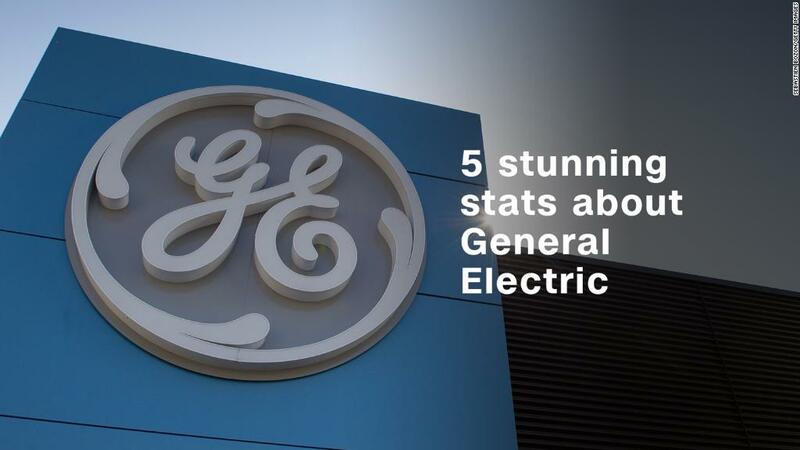 GE has also put a number of businesses up for sale, including its century-old rail division and its iconic light bulb business. Some analysts have even suggested GE could have to reverse itself completely by selling shares to the public to raise cash. GE has said it's not considering that. Cowen analyst Gautam Khanna summed it up this way: "Poor capital allocation, bad acquisitions, poor share repurchases at higher prices and unsustainably high dividends." Jonathan Macey, a corporate law and finance professor at Yale Law School, defended GE's buybacks, albeit in a backhanded way. "That's a poster child of a company that should be returning cash to shareholders -- because they obviously don't know what to do with it," he said. GE did not provide a comment for this story. John Flannery, who became CEO last year, said in January that the company will "maintain a disciplined financial policy" by raising cash and lowering debt. In his annual shareholder letter, Flannery said GE has added new measures to better evaluate the "risk and return" of decisions like dividends and share buybacks. Technically, GE could buy back more stock today because it has $20.9 billion remaining on a program that was launched in April 2015. That buyback program coincided with the sale of $200 billion worth of GE Capital businesses. However, GE has signaled it's not focused on buybacks right now. Asked about buybacks in November, Flannery said GE is "not anticipating much in the short run." Dray noted that Wall Street views buybacks as an important signal. The lack of buybacks by GE, despite the low stock price, could be spooking investors. "They're not saying, 'We think the stock is a bargain and we're buying aggressively,'" Dray said. Corporate America is on track for a record-breaking year for stock buybacks thanks to the cash windfall from President Trump's tax law. US companies have announced $229 billion of buybacks so far this year, according to research firm TrimTabs. Critics argue that this cash would be better spent on investing in the future or by sharing it with workers through higher wages and retraining programs. Senator Tammy Baldwin unveiled a bill this week aimed at reining in stock buybacks.